Hokkaida cupcakes are small chiffon cakes which will be very soft and slightly gets collapsed once they gets cool down. Hokkaido cupcakes are simply prepared with eggs with flour,sugar,milk,oil etc. Seriously this cupcakes are very delicious, however if you dont get the meringue prefectly, you cant get this cupcakes prefectly. These cupcakes will be extremely soft, very spongy and very much delicate in texture. This cupcakes are usually sold in square cupcake cases, but still you can make it with round ones.Hokkaido cupcakes are very less in sugar thats why they are topped always with whipped cream along with fruit bites.This Hokkaido chiffon cupcakes goes for this month's challenge of International Food Challenge ,a monthly event started by wonderful food blogger Sara, the theme for this month's IF Challenge is Anniversary theme, yes its anniversary month for International Food Challenge, we completed a year and we need to cook from the past challenges challenged by the hosts during this month. I missed two challenges coz of my trip to India,one is Hokkaido cuisine and the other one is Austrian cuisine. Obviously this time i picked Hokkaido cuisine challenged by Shazia of Cutchi Kitchen and baked some chiffon cupcakes for the celebration. Yes my blog baby enter into its 6th anniversary, yes since 5years i have been blogging. Nothing is possible without the massive support of my followers and continuous encouragements from my fellow bloggers. I must say a big thanks to each and everyone personally for helping me to make this immense achievement. 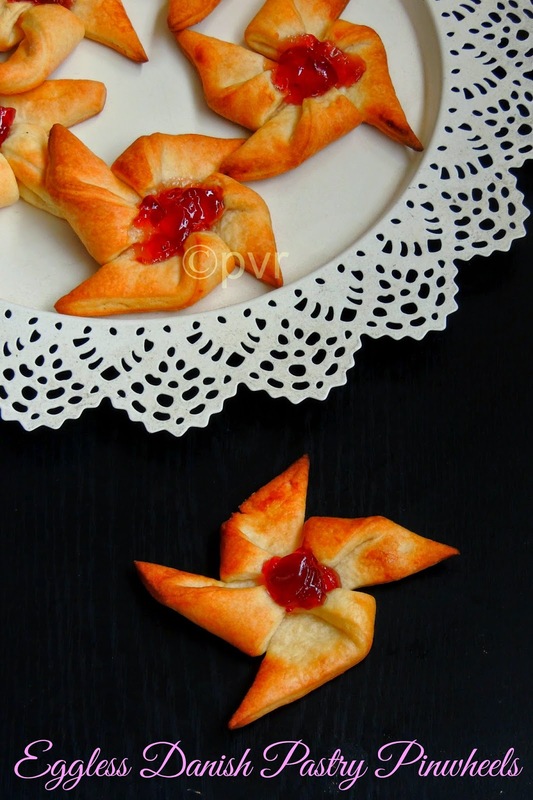 Danish pastry, these pastries are prepared with flour, egg, sugar, butter and salt with milk, this pastry sheet need to be prepared /folded as much as we do for puff pastry sheets. Its better to start a day before if you are planning to make these dangerously addictive pastries at home. Since its a pastry, obviously butter is very much needed for making this elegant bakes. Yes butter is the most wanted ingredient for making this pastry if you feel that there is too much of butter, just forget this pastry. But however seriously its worth to give a try to these beauties. This eggless Danish pastry is our this month's Baking Eggless,a monthly event owned by Gayathri, the original recipe goes for an egg, i simply replaced the egg with yogurt.May be the lamination of the dough needs bit patience else its quite an easy pastry sheet to make at home. You can see many varieties of modakams,kozhukattais since few days everywhere in this virtual world. Hope many of us are ready to celebrate Ganesh chathurthi today, even am getting ready to prepare a feast.Before the festival ends, am trying to post an another modakam recipe i crossed yesterday at Sailaja's space, since this recipe goes for an instant preparation of rice and moongdal mixture,i pulled myself to prepare it immediately. 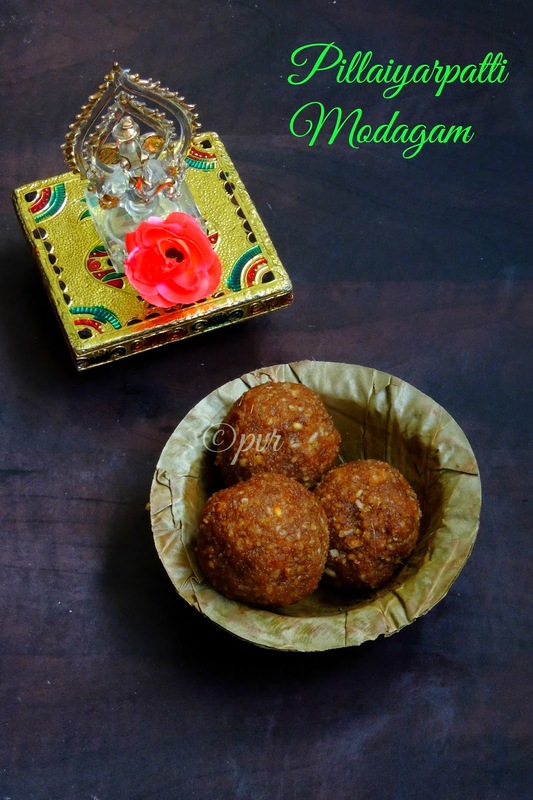 I just used palm jaggery instead of usual jaggery, else i didnt changed anything and went as per original recipe.This modagam came out simply prefect, as much as like savory uppuma urundai, but this sweet version rocks. Vinayagar chathurthi, this famous religious celebration for Lord Ganesh is around the corner. This year we are celebrating Ganesh Chathurthi on 29th september all around India. Every year i miss this celebration in India but somehow am happy that its still summer vacation here, so kids will be at home for the celebration. 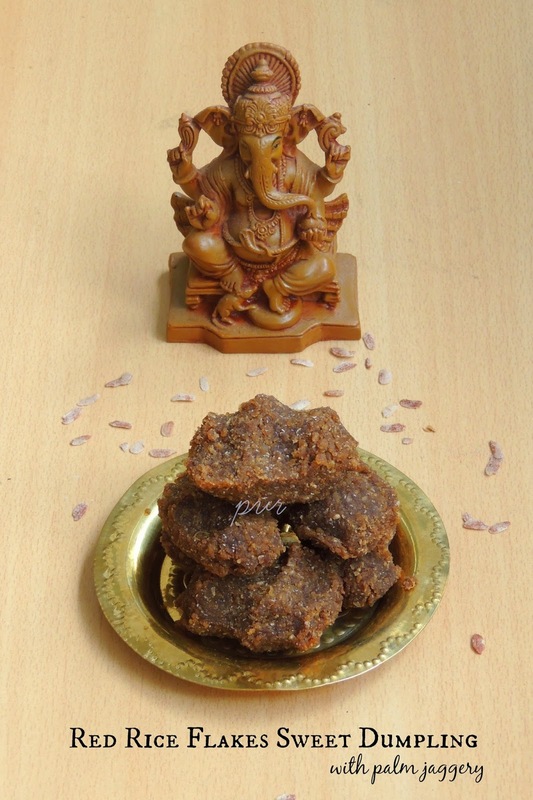 This time am sure its going to be more fun with kids around, for the celebration.Today am posting this red rice flakes sweet kozhukattai with palm jaggery, am sure this kozhukattais will be very much handy if you are still searching for a quick prasadam for the celebration.This red rice flakes sweet dumplings is quite an easy, simple,delicious and definitely a quickest dumplings to make even if you dont have enough time to make something as kozhukattais/dumplings. Just soaking time may take bit time, else the preparation is quite easier than the usual kozhukattais. I love pestos, obviously i make varieties of pestos at home.Bread with pesto filling definitely goes directly to our favourite bread list, i tried my hands in making this Russian braided bread for this month's We Knead To Bake, a monthly baking event by Aparna of My Diverse Kitchen. 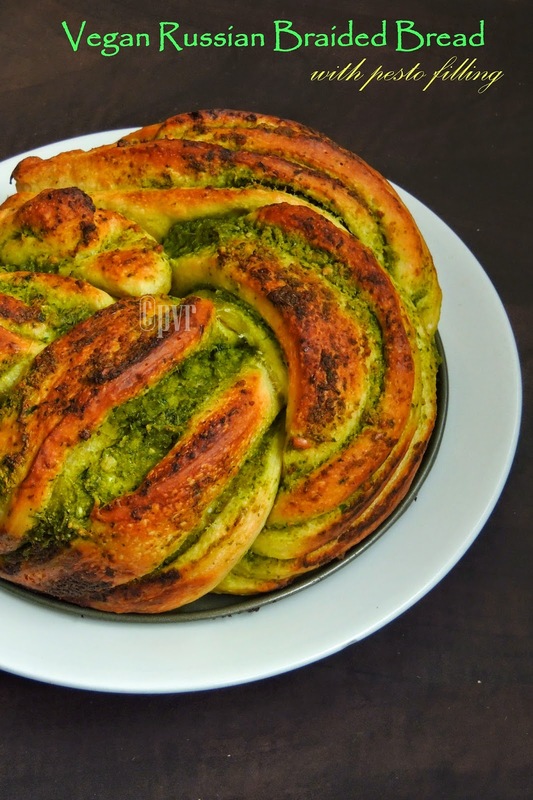 As Aparna asked us to chose any stuffed bread with a savory filling, actually she said to make a different shaped bread, immediately i checked my bookmarked recipes and baked this green gorgeous looking pesto braided bread. This bread is definitely a keeper, very easy to shape. This bread can be enjoyed thoroughly just like that or simply along with a bowl of warm soup to have filling and satisfying dinner. Pesto filling is used in this bread is Coriander, cashew pesto. 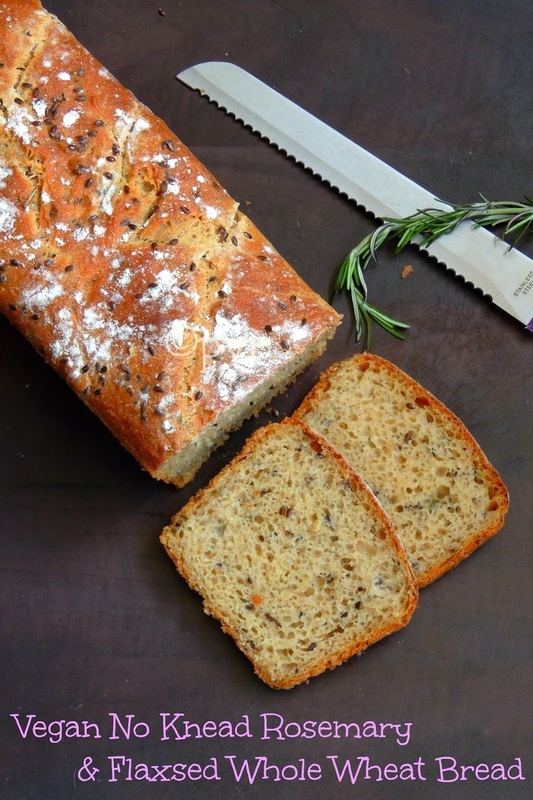 This pesto gives any excellent flavor to this vegan bread which is dangerously addictive. One cant just stop with a slice. I love coffee and chocolates very much, i cant imagine my day without a cup of coffee, for me a cup of coffee is a booster; much needed to kick start a day. 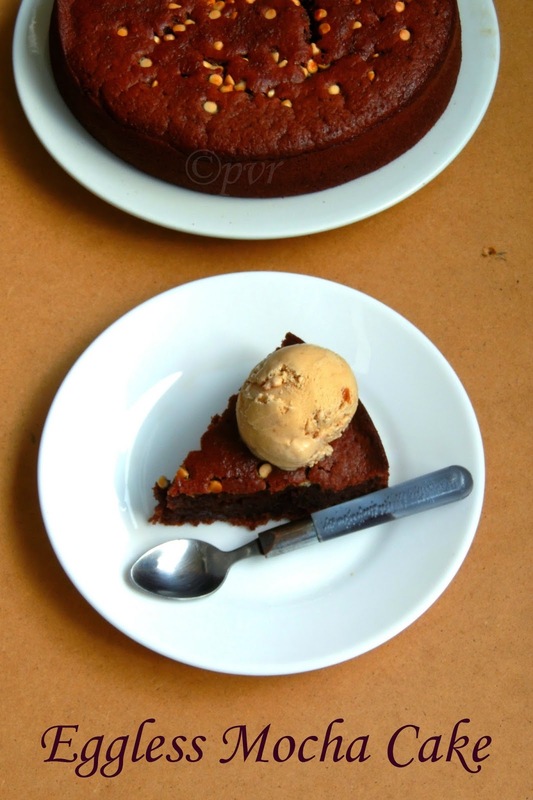 Obviously coffee flavoured bakes are our family favourite as well.For this week's blogging marathon,i picked cakes with different egg substitutes, hence my usual Mocha Cake turned as an eggless version here.But trust me, even this eggless version came out simply awesome. We didnt missed the eggs here. 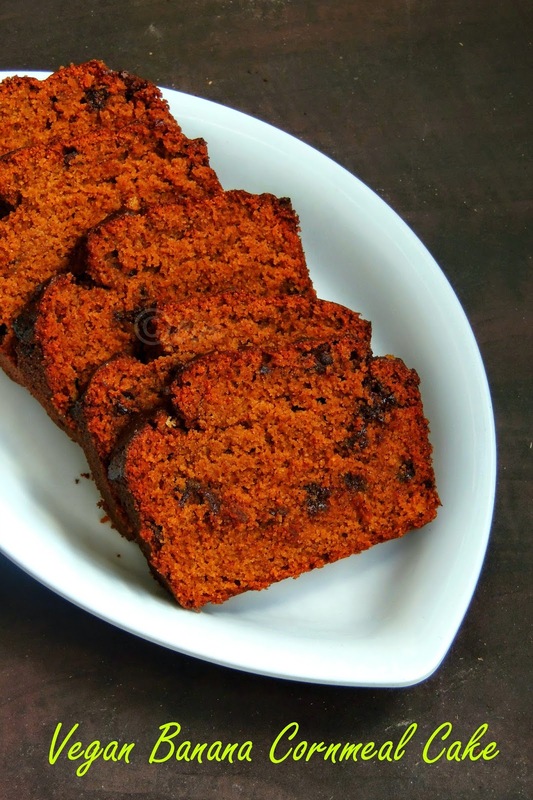 I used both yogurt and apple sauce as egg substitutes, and the texture of the cake came out extremely moist with wonderful coffee flavour. My baking experiments with palm jaggery syrup is just continuing and every time i bake with them, my bakes comes out extremely fabulous,obviously i opted again this method of using palm jaggery in this banana cornmeal cake instead of white sugar.Banana and palm jaggery syrup compliments very well in cake, and this cornmeal cake or bread watever you would like to call came out simply moist and delicious. As usual i have added some chocolate chips to attract my kids, yes chocolates is our weakness whenever i try something new i'll add definitely some chocolate to attract everyone.Most of my baking trials end up always with chocolates in it. Baby potatoes, these tiny potatoes are my lil one's favourite. Whenever i'll pick these cuties from my near by vegetable stall, i know i'll be making some masala just to satisfy my lil darling's tastebuds. But this time i tried adding some bitterness to these potatoes,yes i prepared a delicious but mildly bitter curry with both baby potatoes and freshly plucked fenugreek leaves which is from my small balcony garden. When its summer here, i'll try my hands to grown up few herbs myself and this time i went for mint,coriander and obviously fenugreek leaves. 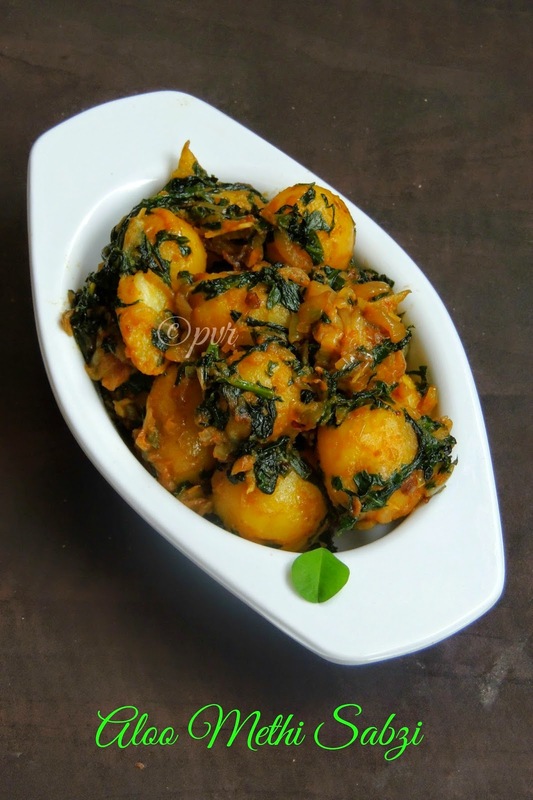 Freshly grown fenugreek leaves gives an excellent flavour to this delicious potato curry. This No Knead light wheat bread is our recent favourite and i couldnt stop myself making them at home often. Today's bread is also one among those trials i have been doing since this humble no knead bread came out extremely prefect and much more better than the storebought ones. When i posted this no knead bread, many of my followers were asking why i have added bread flour/all purpose flour along with wheat flour to make this bread, this question pulled me to give a try to this whole wheat bread, which goes for 100% whole wheat flour. 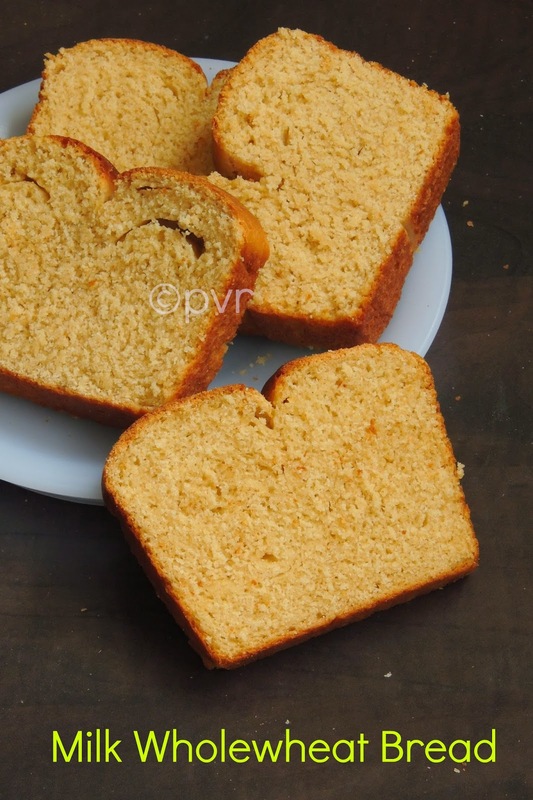 The whole wheat flour i used in this bread is the famous Indian brand Aashirvaad atta, if you dont have just try with usual whole wheat flour, however i find that aashirvaad atta works wonder in this bread. Coming to today's bread,this bread is 100% whole wheat bread,simply prepared with our usual roti flour. 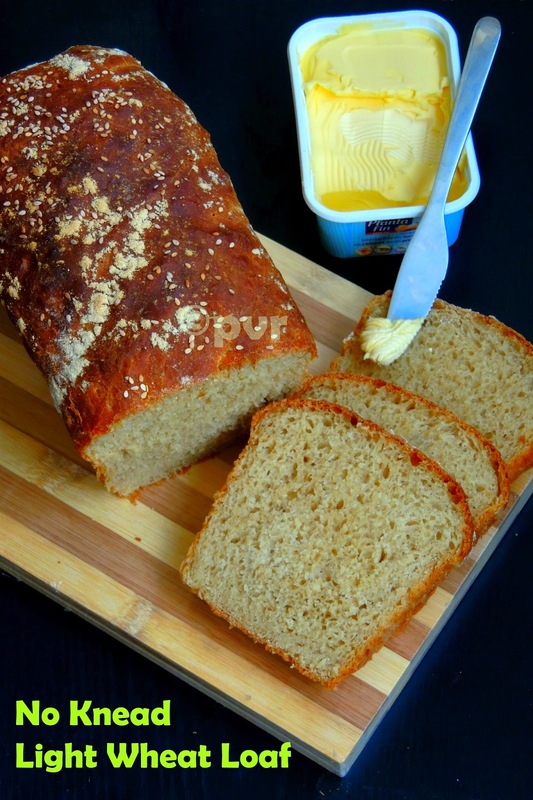 Am sure if you make this bread at home, this bread will definitely became the most favourite bread among those breads you would have baked already at home. 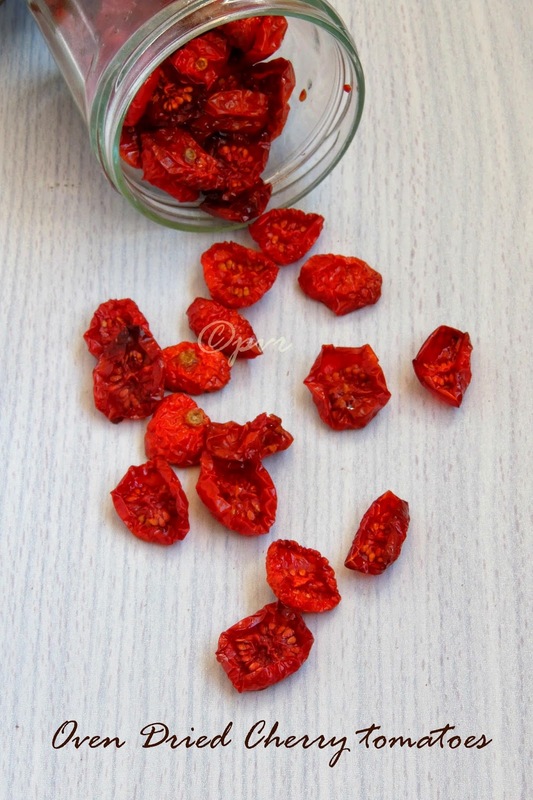 If you are buying your favourite sun dried tomatoes from stores, am sure after going through this post, you will definitely change your mind and make your own dose of those dried tomatoes at home. This method may be bit time consuming but trust me its really worth to give a try. Recently i tried my hands in making some oven dried tomatoes at home, they simply came out fantabulous. With less money, your oven dried tomatoes are ready to be used. Later i just prepared a small bottle this herbed oven dried cherry tomatoes with olive oil along with rosemary sprigs, needless to say am really happy with those oven dried tomatoes. You may think sun dried are better and cheaper when compared to oven drying, but if you live in a Country where you can see sun rarely its better to make oven dried ones na. Actually its summer here, but the Sun god is playing hide and seek with us, my yearly dose of vathals are still waiting to be prepared and dried since Sunny days are very rare here now, its often raining or either chilled since few days.However if you are having hot sunny days,you can make your sun dried tomatoes easily too. 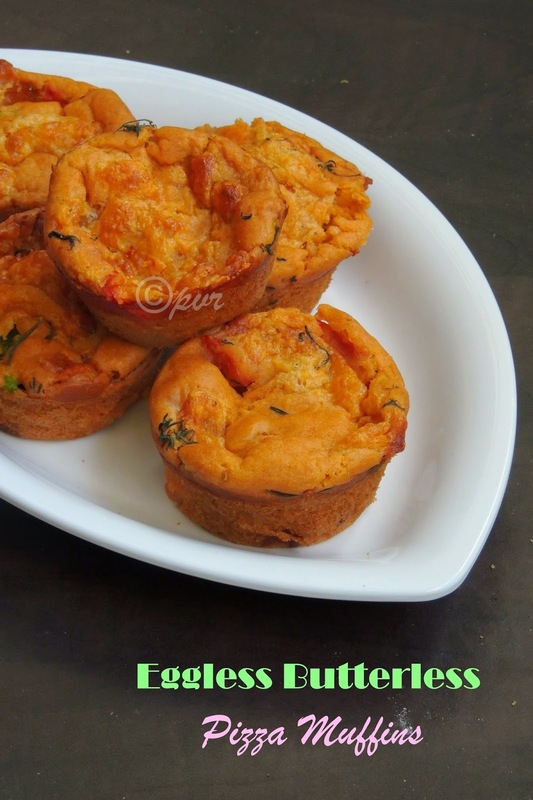 Eggless butterless pizza muffins, yes this muffins are eggless and butterless, one can have this pizza muffins easily without any guilt. 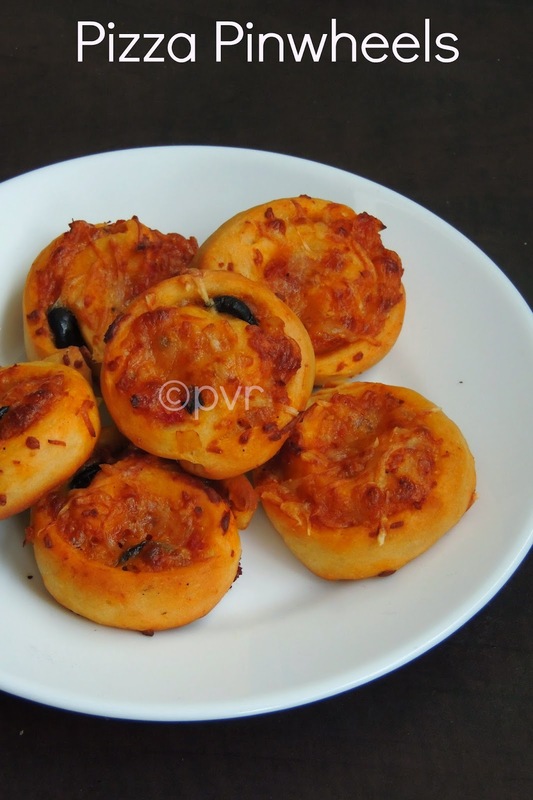 Pizza muffin with a medley of veggies is our favourite now, everyone at home enjoyed thoroughly for their yesterday's dinner with some salad. When served warm, the mozzarella bites i have added in this muffins makes this muffins more delicious and very cheesy. 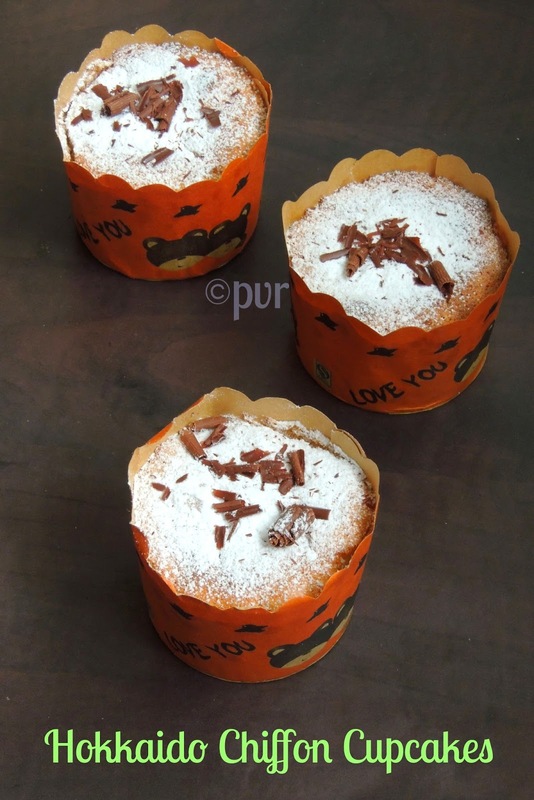 Since this muffins are kid's friendly, you can pack them very well in a kid's lunch box. Also i used half a cup of whole wheat flour along with all purpose flour,obviously this pizza muffins are quite healthier. 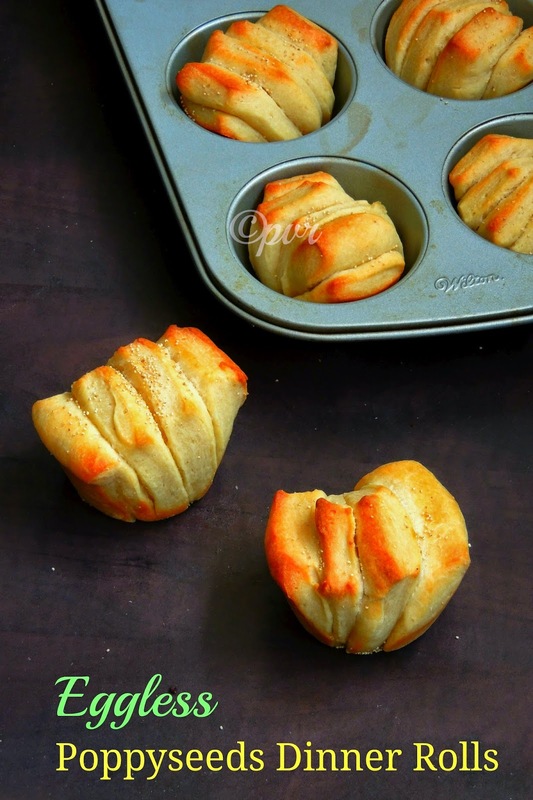 After an addictive pizza pinwheels, today's post is all about one of our another favourite, pizza sticks. Pizza sticks can be prepared easily at home with a simple dough prepared either with baking powder,baking soda combination or else with a yeasted dough. However i prepared this pizza sticks with the leftover pizza dough which i keep aside after having pizza during our weekend. 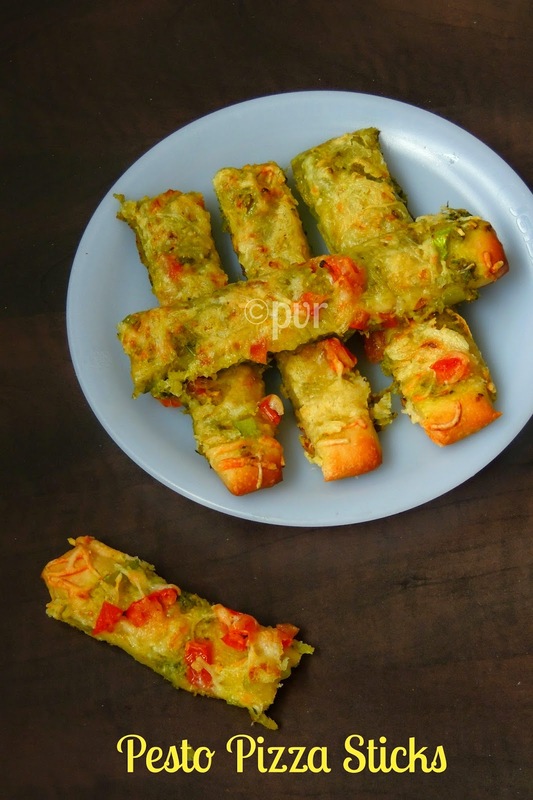 I finished that leftover pizza dough as this beautiful, cheesy and very aromatic sticks with homemade pesto prepared with coriander leaves and almonds. This aromatic pesto works wonder in this bread sticks, trust me these pesto pizza sticks are dangerously addictive and one cant stop munching them, the melted cheese with this aromatic pesto takes this easy breezy pizza sticks to an another level, yes the warm pizza sticks tastes absolutely delicious and kids will go crazy if they see this beauties. Pizza, this incredible dish is very much liked by everyone at home. My kids are ardent fan of pizzas and i'll make pizzas quite often at home. Yes i love to make pizzas at home, and we go very rarely for store bought pizzas or order pizzas from the famous pizzeria. However this week's blogging marathon is going to be pizzas in different forms aka pizza snacks. When i picked this theme, i know i'll be making pizza pinwheels from the list of different pizza snacks given by Srivalli under this theme's list,as my lil one love pizza pinwheels very much.Initially i wanted to make this pinwheels with storebough pizza crust but as usual i ended up with my usual homemade wheat pizza crust since its really very easy to prepare at home with flours,yeast,olive oil,salt and sugar. Am sure you will be surprised to read the title, yes this wonderful looking waffles are prepared with healthy stuffs in it. Barnyard millets aka Kuthiravaali/Kuthiravalli, this nutritious millets is very healthy and definitely a versatile grain and one can make so many beautiful dishes out of this millets.Actually this post goes to this month's Shhhh Cooking Secretly Challenge started by me few months back.We are having fun in guessing other's secret ingredients through the pictures each of us have been sharing in our FB group.My pair for this month's challenge is Veena Shankar of Great Secret Of Life, she gave me millets and dates as my secret ingredients. 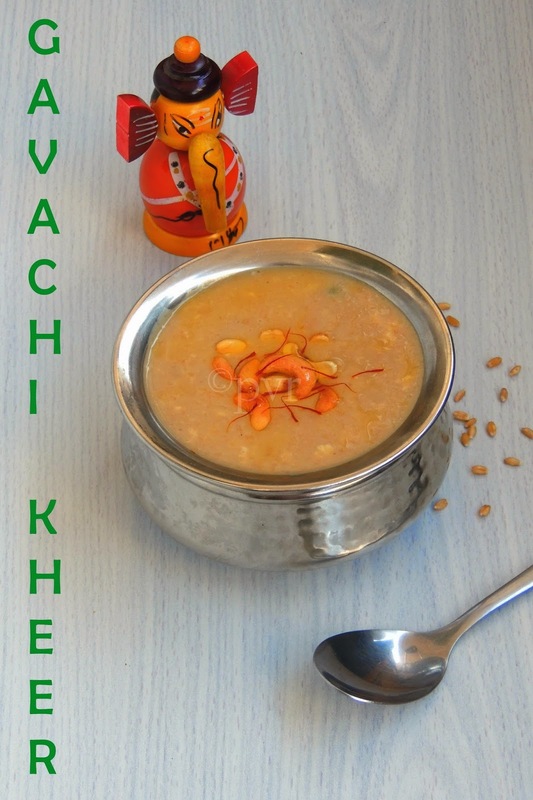 Initially i was thinking of making a simple kheer, then later i thought i should give a try to kesari. Even two day back, i was planning for making a sweet pongal with this secret ingredients. 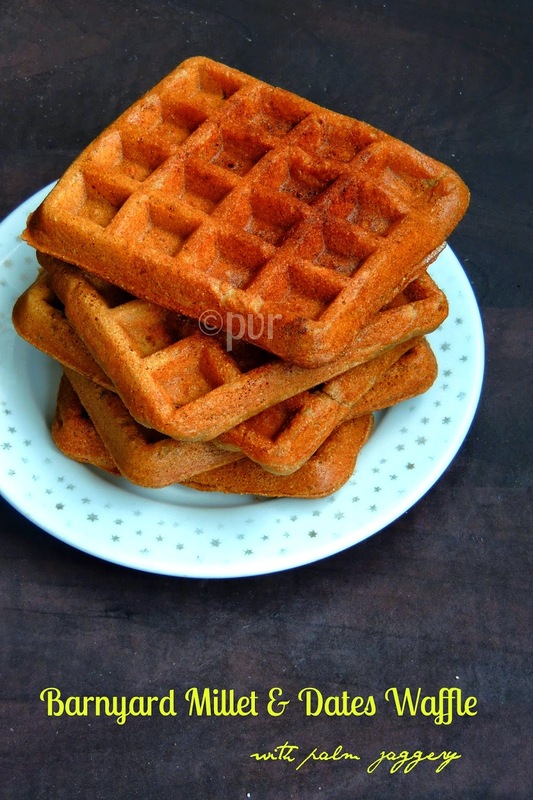 But finally i ended up with a breakfast waffle, yes this eggless,butterless, sugarfree waffle is simply prepared with homemade barnyard millet flour with chopped dates and palm jaggery syrup. I replacd the eggs with buttermilk and baking soda, obviously butter with oil.Trust me this combination works absolutely incredible and we had a super filling brunch with this healthy waffles with our bowl of milk. Bhakarwadi, this spicy Maharashtrian snack is a traditional snacks which can be stored for many days and can be enjoyed thoroughly for snacks as much as like South Indian savoury snacks like murukkus, thattais etc. This crispy fried rolls is prepared with spicy tangy mixture of poppyseeds, sesame seeds, dry coconut along with few more spice powders. Actually this is the first time am making bhakarwadis at home, this crispy snacks was in my to do list since a long, for some reason i couldnt able to make these dangerously addictive fried rolls earlier. 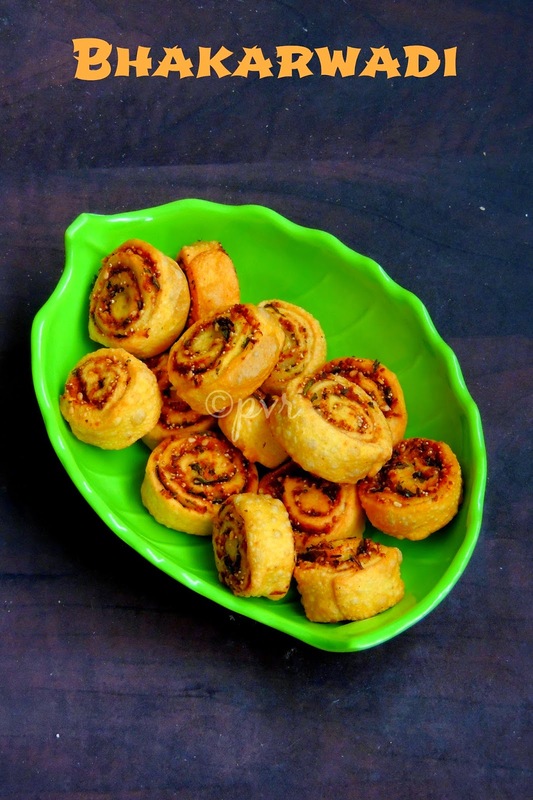 Finally i made them this weekend at home, this Indian pinwheels are very addictive and one cant just stop munching them.Even its my first trial, i should say that i have completely fallen in love with this super crispy fried rolls. Needless to say this Bhakarwadis rocks, we loved it to the core. Eggless poppyseeds dinner rolls, this soft buttery rolls are our most favourite from the bakes, i have baked out during this week.My kids are still in summer vacation and keeping myself busy by making varieties of breads,buns and cakes just to feed them during our late morning breakfast, sometimes for our lazy summer sandwich and most probably for our evening snacks. Acutally i started playing with bread doughs and cake batters since the summer vacation started here, obviously my followers would have already noticed the varieties of bakes i have been baking recently.Since yeast god behaves smart with me,instead of getting store bought breads, am trying my hands in making varieties of breads at home itself.Seriously its not difficult to make breads at home, without any preseratives, bread developers, addictives etc etc the homemade bread are the best when compared to the store bought ones. If time permits, just try your hands in making bread at home. 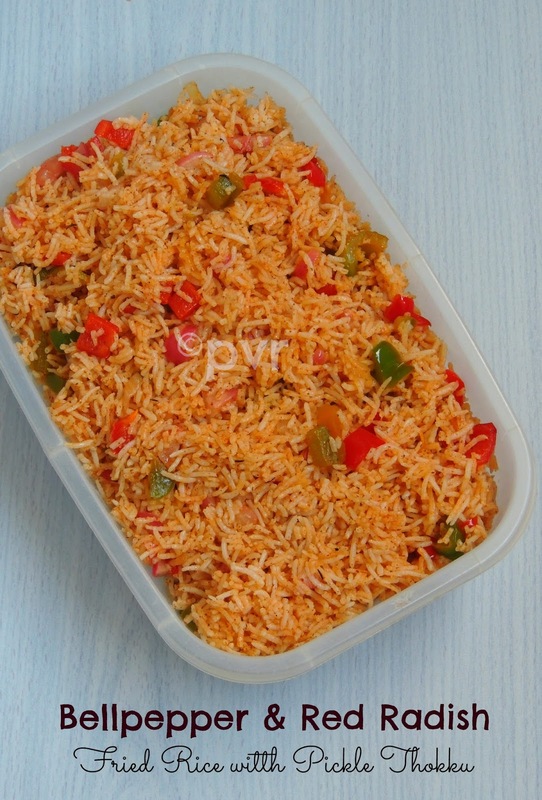 Fried rice with mango pickle thokku, does this recipe title intrigue you? yes this fried rice is completely a fusion dish. 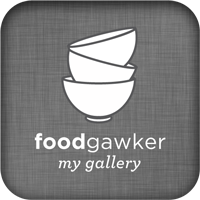 Actually am a person who love to give a try to different dishes with the simple ingredients available in my pantry. This rice was prepared simply with the mango pickle thokku left aside in my pickle jar after having the mango chunks from my aunt's Andhra sytle mango pickle.Usually i'll mix this thokku with warm white rice if i dont feel like making gravies especially if am alone at home. Warm rice mixed with mango pickle thokku served with fried papads makes an excellent filling meal, one can have it without any fuss if you love spicy foods as much as like me, a comforting food for spice food lovers. 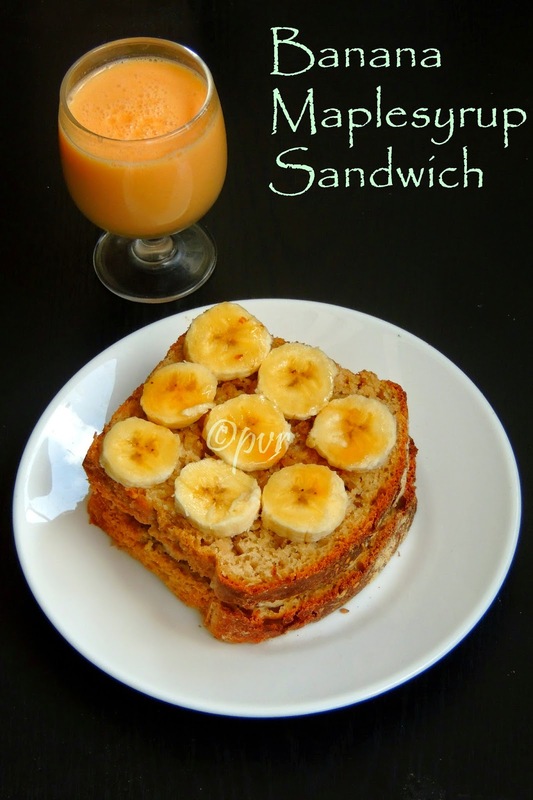 to add them in my bakes whenever i feel like making fantastic whole wheat based bread. Usually wholewheat breads needs a pre-frement or biga, this biga is prepared a day before with flour, water and yeast, but this wholewheat bread doesnt need biga. Obviously a very easy bread when compared to the other wholewheat breads. Bread baking at home is definitely an easy affair if you are able to tame the yeast, if you find out the tips to get over the fear of playing with yeast god am sure anyone can do wonderful breads at home with simple ingredients. Earlier, bread baking was one of my nightmare coz every time i killed my yeast by adding hot water instead of lukewarm water. Thanks to google and YouTube, slowly i learned alone to tame the yeast and baked many beautiful breads with the incredible yeast god. Now handling yeast its not hard task for me, actually i just play with it. Bread baking at home is quite like a therapy, while baking the aroma of the freshly baking bread will definitely tickle your tastebuds, once you remove the bread from the oven,the smell of the freshly baked bread when hits your nose; my god one cant explain about the feel. Everytime when i make bread at home, the hungry tummies at home wait patiently to attack the freshly baked breads with anything. Yes now bread baking have became my cup of tea, if i feel down or bored i'll go for bread baking and its quite a stress buster for me. 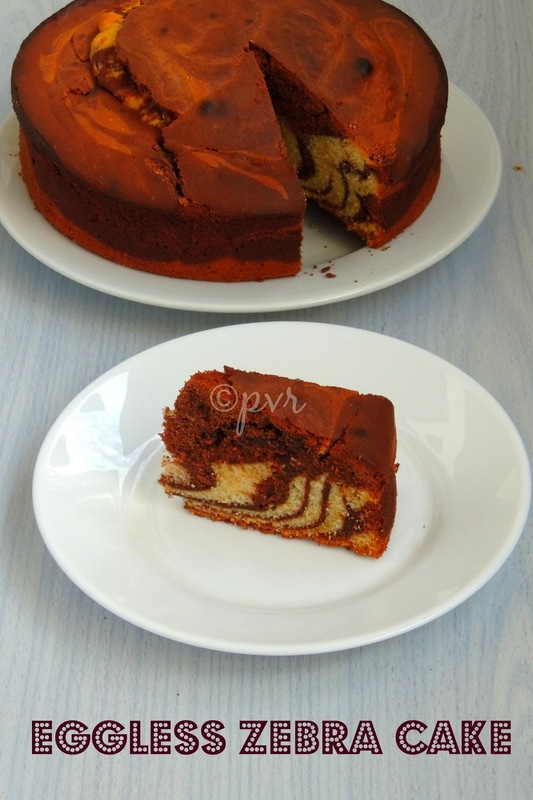 Forgive me for naming this cake with a long title, actually i was searching for a prefect name for this cake but somehow i couldnt name it simply like that, since this cake goes for different fillings. This layered cake need to be named as much as like my title just to get an idea about this special cake.Chocolate cake, watelse a chocoholic person like me need. I can eat chocolate cake even in midnite and chocolates are my secret of energy whenever i feel down. My most favourite is dark chocolate, obviously i'll always have a chocolate bar with me. Do you know eventhough i live in a Country where you can see varieties of chocolates, i love to bring Dairy milk from India.Yes dont laugh here, i love chocolates that much. 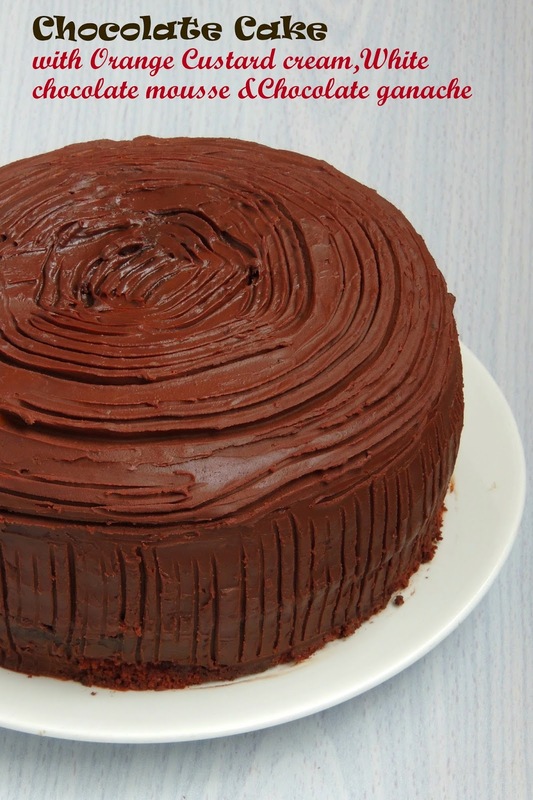 Chocolate cake with different filling was in my to do list since a while. When for this week's Fond Bites-Bake Along, a weekly event by Subhashini, she suggested this super rich looking cake with different filling for this week's challenge, i couldnt resist to make mine at home.Every week we get to know about the week's challenge on sunday and the members of this group should bake and share either in their blog or with the group members before the next sunday. Seriously am having real fun with this group actually learning so many different bakes every week.Since we are supposed to bake a chocolate cake with different filling, who can miss the chance to make chocolate cake, obviously i planned everything a day before baking this cake and prepared my cake with three different fillings. My fillings went for an eggless orange custard cream, an eggless white chocolate mousse and last but not least the famous chocolate ganache.Actually the original recipe is prepared as Chocolate orange mousse cake, since i love orange and chocolate in cakes i was very generous with oranges, i didnt forget to add some orange zest in my white chocolate mousse and prepared an eggless orange custard cream with orange juice and orange zest. You might have heard lot about Kurinji flower if you have travelled to Kodaikanal. Kurniji leaves, i came to know about this leaves few months back. While purchasing in my usual Indian store, i saw these leaves packed and arranged in vegetables section. I asked the person who was arranging this leaves about this completely new leaves for me, he immediately told that this leaves are called Kurinji ilai and its good for diabetic peoples, actually i pulled myself to get a packet for these leaves. Back home i tried cooking it as a simple stir fry, this stir fry tastes good if they are mixed with hot rice and eaten immediately or else you can make it as a kootu with moongdal. 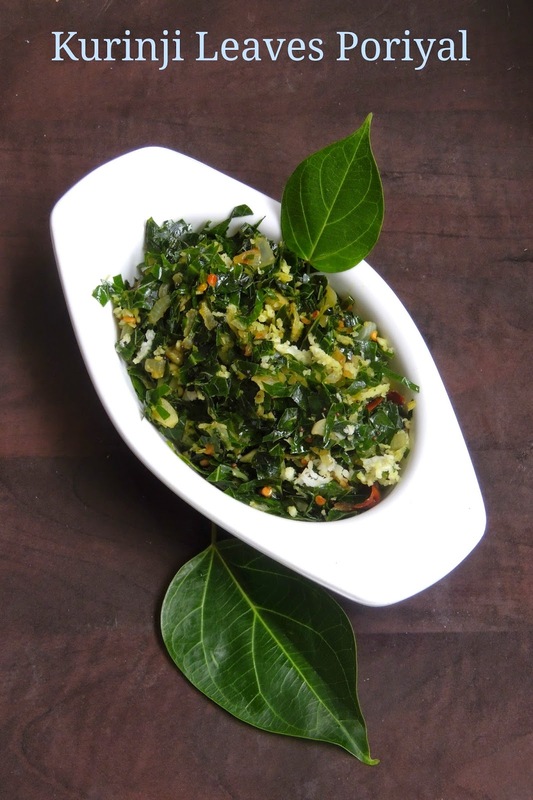 But however i opted for this easy stir fry, these leaves will tastes bit bitter and obviously one of the greens am trying to add quite often in our diet. Even i feed my kids with this stir fry, anyhow they dont like this stirfry. Anything bitter is better for health rite.The scientific name of this kurinji is Strobulanthus heiniyanus. Its summer here, obviously the local farmer markets is stuffed with summer fruits, watermelon is one among those varieties of summer fruits we never forget to buy once they starts showing their heads. Watermelon this fruits is our family favourite, i can start my day with this fruit and end my day with it as well. I tried even doing a watermelon diet as i love this fruit that much. This fruit is one among the cheaper summer fruit easily available in the market obviously who will fail to get them. During one of our recent visit to the farmer's market pulled us to get a super huge watermelon, back home i tried salad with feta cheese, lollies, gaspacho and this smoothie. Even i didnt trashed the white rinds, i cook delicious dishes out of it. So apart from the outer green skin everything from watermelon can be used in different way in cooking. 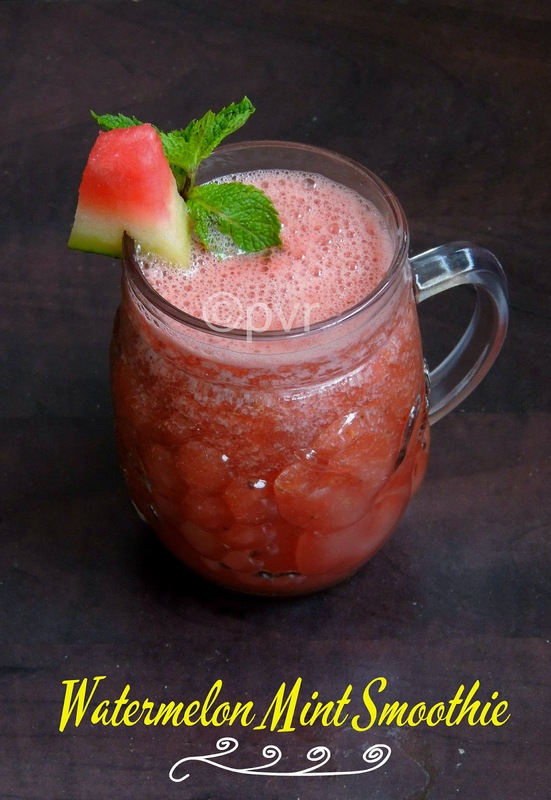 Smoothies, this drink is prepared simply either with fruits,vegetables or in a combination of vegetables and fruits. I simply love fruits in smoothies and rarely combined vegetables in smoothies. Since i picked Sizzling smoothies for this week's theme for blogging marathon, i tried this healthy, simple, quick, very mildy sweet and aromatic vegetable smoothie. Actually i want to make green smoothie with green vegetables like cucumber, green apples and spinach which was in my to do list since a while. Since none at home want to taste the green smoothie i opted for this eye catching carrot celery smoothie. 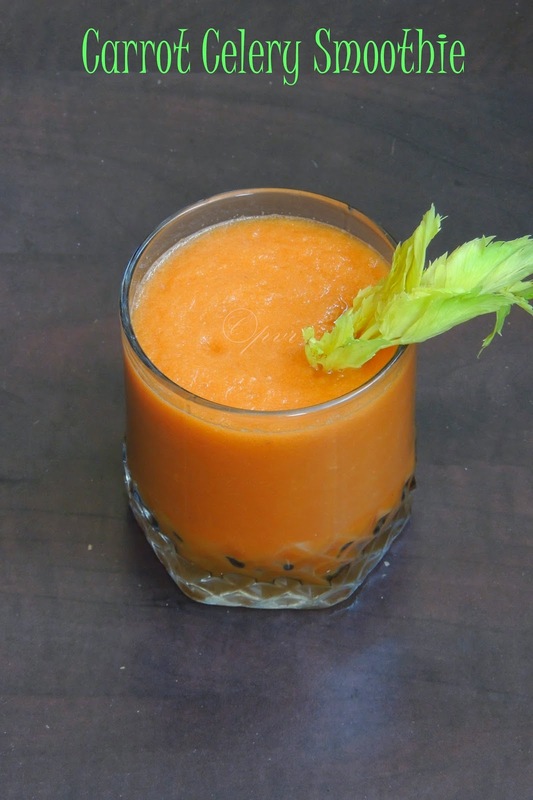 Celery gives an excellent aroma to this smoothie and carrot gives a mild sweetness. Today's post is my first trial with the famous gojiberries, these berries are easily available for me in Chinese stores but somehow i wasnt comfortable to give a try until i came to know more about this incredible berries by googling. Then a day, i picked a small packet of this berries and back home i tried them in smoothies, trust me the smoothie i tried everytime with this gojiberries is a big hit with everyone at home. 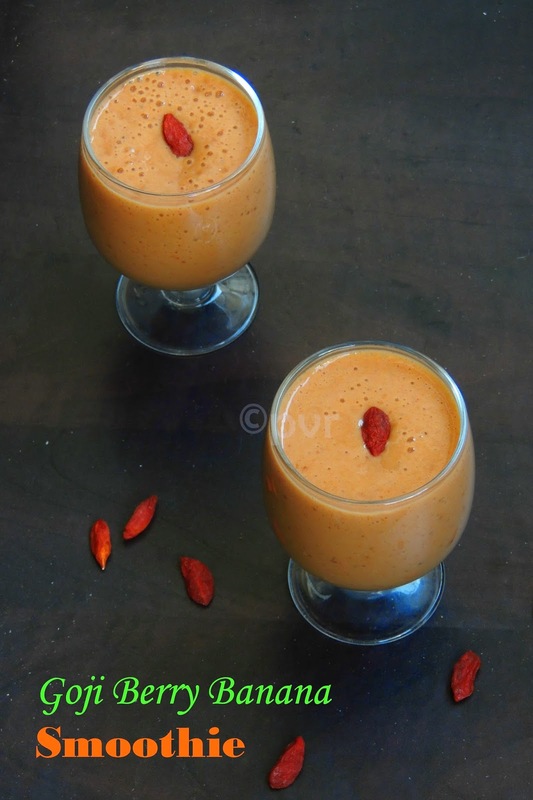 However i love this banana gojiberry combination in smoothie.The goji berry is also called as wolfberry. This berry is a bright orange-red berry that comes from a shrub that's native to China. In Asia, goji berries have been eaten for generations in the hope of living longer.Earlier people have used goji berries to treat many common health problems like diabetes, high blood pressure, fever and age-related eye problems. Goji berries are eaten raw, cooked, or dried (like raisins) and are used in herbal teas, juices, wines, and medicines. I have been participating in few challenging events going around this virtual blogging world since i started blogging. Some challenges are seriously very close to my heart obviously i cant miss a challenge at any cost. Participating in few challenges brings you wonderful bond among the other like minded bloggers who loves to take challenges. We make friends, at the same time we learn to cook traditional foods. One among the challenges i always love to be a part is South vs North Challenge an event owned by Divya Pramil, this incredible challenge is to going to take its end coz of no constant participation by the members of this challenge. 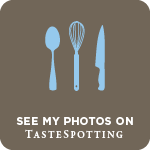 I loved this challenge very much and learned so many traditional North Indian dishes through this event, seriously its very hard to accept the end of this event. Actually we dont want to give up but Divya have some valuable reason for ending up this event. Yes she is right, this challenge was amazing in earlier stages, there were more members and more participation, almost all of us were fighting to get the first place. But slowly this challenge started losing its charm, but however every happiest moment have an end. This month is going to be the final challenge and obviously i dont want to miss the chance to cook an another traditional dish from North India as the theme of this event is to exchange an Indian recipe between two teams. One team is Southern team (food bloggers born and brought in South India) and the another one team is Northern team (food bloggers born and brought in North India).Every first of a month, a blogger from each team will challenge a recipe from their origin and the opposite team have to cook the recipe challenged by the other team.This month"s host of North Team Manjula of Desi Fiesta challenged the South team with a traditional Maharashtrian Kheer.